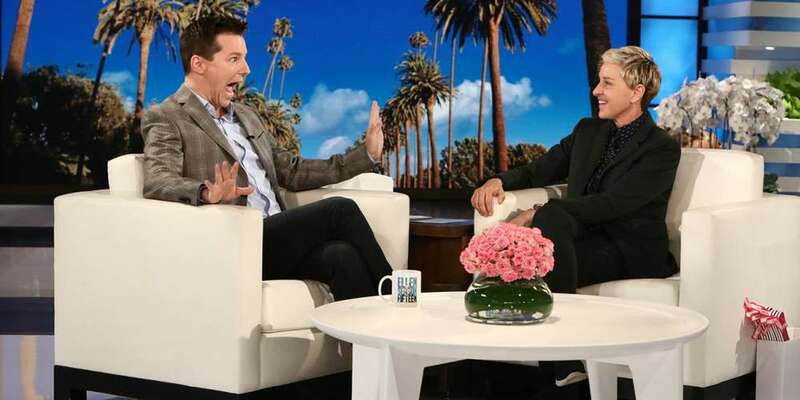 Ellen DeGeneres and Sean Hayes are by far two of the funniest out gay people on television right now. The pair have perfect comedic timing and are also not afraid to get a little dirty with their jokes. Thankfully for us, the pair got together on Ellen’s show, and the ending result of these two comic legends is sheer genius. At first the pair act real goofy, but soon their giddy laughing turns into a shady “Battle of the Gays” — as DeGeneres dubbed it. “Oh Helen. You know, I have been calling you Helen all these years. By the way, you’ve been on the air for 15 years,” Hayes points out. “Longer than 15,” replies Hayes. “How long was it the first time around before y’all got canceled?”, fires back DeGeneres. The audience bursts out laughing. “I think it was longer than your sitcom,” Hayes slipped in while taking a sip of his coffee. “The Battle of the Gays up here,” DeGenres concludes, before they begin talking about the current season of Will & Grace. Next, Sean Hayes revealed that Alec Baldwin will be on the last few episodes of Will & Grace this season. 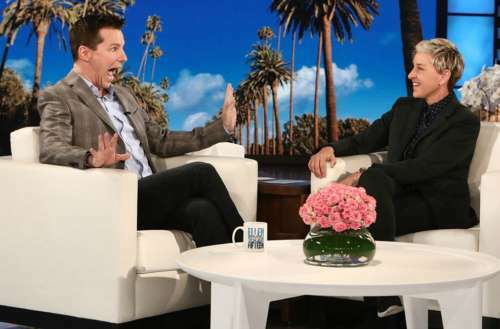 What do you think fo the Ellen DeGeneres and Sean Hayes exchange? Sound off in the comments below and on Facebook!